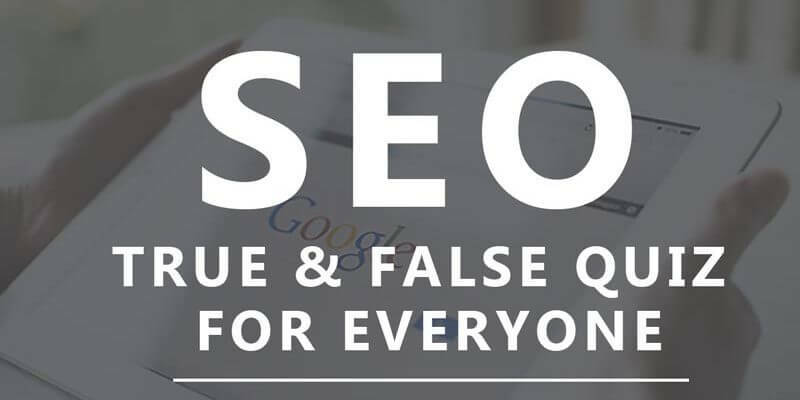 Try this basic SEO true and false quiz. The maximum no URLs allowed in an XML sitemap file is 50,000. 2. True or False: A 301 redirect passes roughly the same link equity as using the rel="canonical" tag. 3. True or False: 405 HTTP server response code indicates a file that no longer exists? 4. If these Urls have the same content, www.example.com/seo and www.example.com/seo/ are technically considered duplicate content and should be fixed. 5. High quality links to a site homepage may help to increase the ranking ability of deeper pages on the same domain. 6. Google panda update was also known as the Farmer update. 7. In general, internal links pass about the same value as the external links. 8. If a page includes more than one rel="canonical" Google will ignore them all. 9. The X-Robots tag should be located in the <head> section of a page.